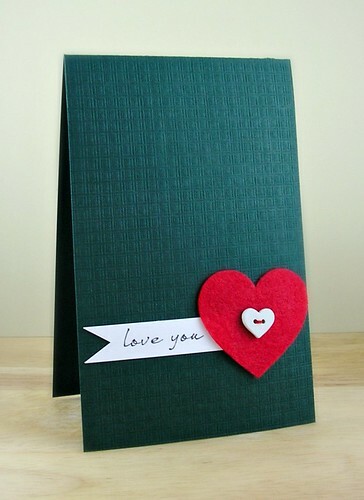 Yup, Christmas is over now for us cardmakers so let's focus on St Valentine's - ha! Anyways back to the actual CASE Study! We'd love to have you join in the fun with us; the more merrier! Need some more inspiration to get those creative juices flowing? Then why not check out what the rest of the CASE Study DT created? Can you tell that I've been a good girl this year? Santa My gorgeous guy presented me with a photo tent complete with daylight lamps on Christmas Day (along with some other beautiful gifts - I felt spoilt rotten!) This piccy was actually taken at night time, so no more having to grumble about running out of daylight hours - score! I've still got a bit of tweaking and practice to go with it, but I'm really happy with this first result :) Any tips you have about using these babies would be much appreciated! I was totally smitten with those shoes and the gorgeous green bag (no surprises there!) 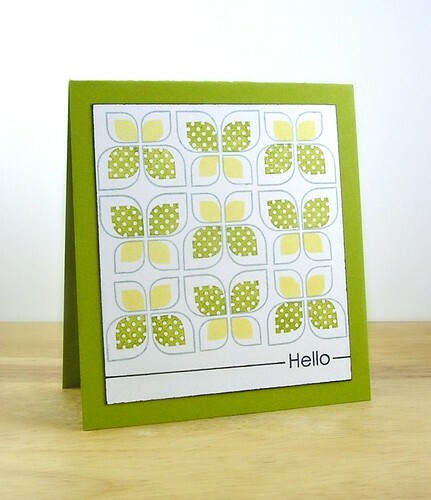 so that dictated my colour scheme and polka dot stamping. 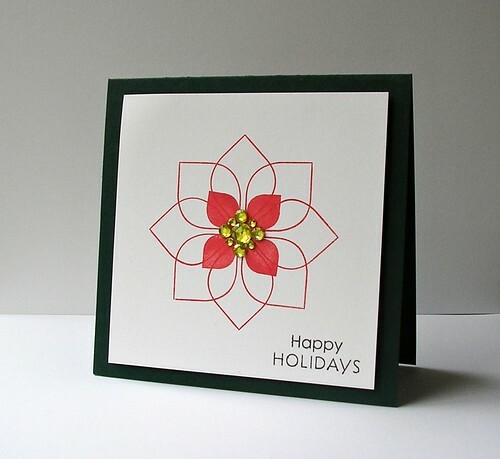 The line across the bottom of my card is inspired by the runway, and the use of modern basics for my stamping is inspired by the cool pattern on the dress. Phew! That's a lot of inspiration from one pic! 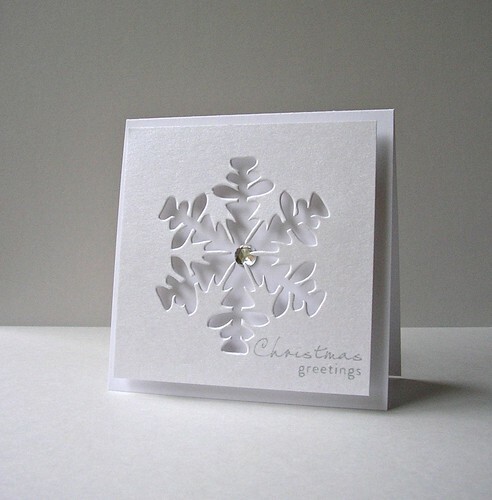 I'll be back again before the big day with a few more Christmas cards to share but if you don't pop back before Christmas I'd like to wish you all a fabulous Christmas! Getting my dollar's worth with Modern Basics by now creating a wreath! 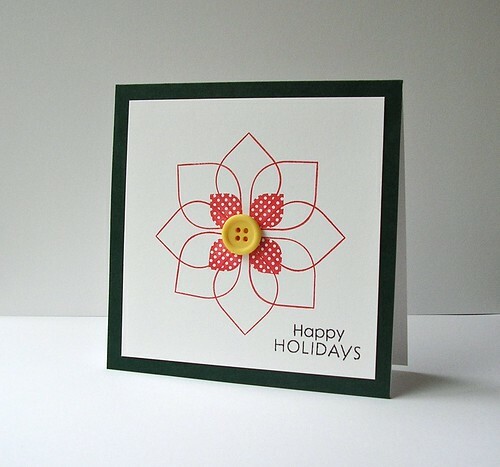 This was easy-peasy to stamp: lightly trace a circle and follow by stamping leaves in two shades of green and add berries and a bow to finish! 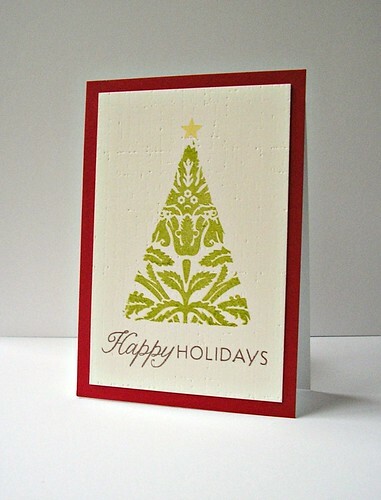 Remember the tree from this card? Well using the same mask I created this one simply substituting chevrons for my yummy Classic Fabric Design Hero Arts stamp. 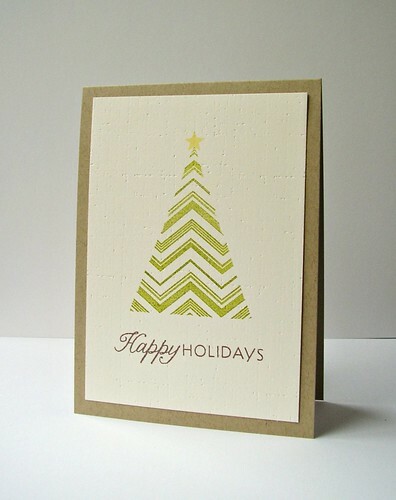 These cards could totally qualify for our new challenge on A Passion for Papertrey - I'm dreaming of a GREEN Christmas (yes, this is a challenge I demanded! LOL!) 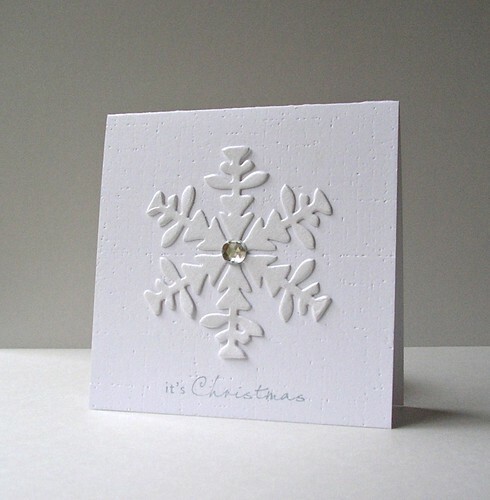 So if you've put a spot of gorgeous green on your own Christmas cards and used at least one PTI product, then share the inspiration with us! Now before I settle in under my snuggly blanket with my G&T, I just had to play along with the fabulous new Runway Inspired Challenge. It's led by one seriously fabulous (and super sweet) gal, Jennifer Rzasa and boy, oh boy, has she got one jaw-droppingly talented DT! 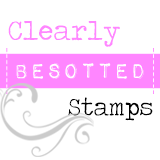 Some of my most admired stampers feature on it! I was taken with that gorgeous shade of yellow, the detail on that dress (that I would love to own myself! ), the illuminated runway and the circular element at in the background. Here's what a quickly whipped up, totally inspired and itching to play along! 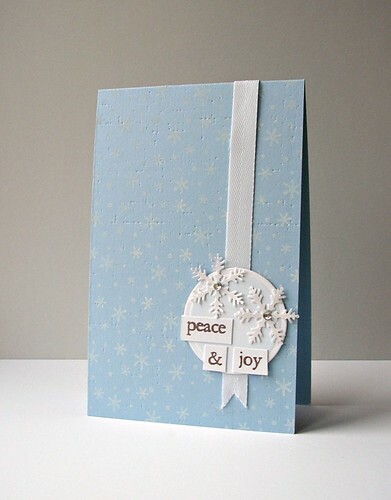 Check out Amy's original post of this beautiful card, here! 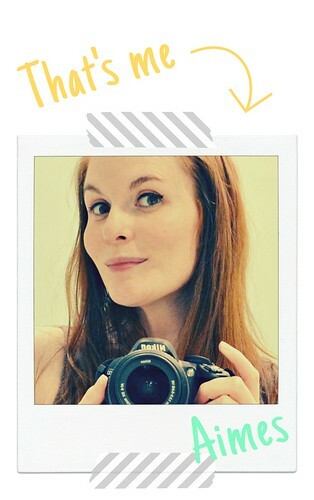 It's a pretty CAS take on Amy's card (what else?!) and I liked the idea of juxtaposing clean and modern with fussy by using grid paper for my butterfly and a doily for my stamped element. Even the sentiment kinda mixes styles a little with it's use of two different fonts. I'm also gonna enter this into the current Play Date Cafe Challenge too with my splash-of-aqua-butterfly. Back to CASE Study: this week's CASE Study will run for two weeks to give you a chance to ink up and play along during the busy holiday season. I hope you can squeeze a bit of inky time to join us! Right I've got a party to help organise for the final day of term...I'm thinking of suggesting we play sleeping lions for an hour but I don't think the students will buy it! LOL! Happy Monday! I'm on the official countdown now for the Christmas holidays: T-minus 10 working days and counting *wink*! This is just one design of a few I have to share with ya...turns out that by simply playing with some fabulous new ink helps my mojo no end! However I must get back to whipping out and actually sending a few more Christmas cards before I start showing 'em on here! So if you've got a spare moment, why not join in the inky fun with us? 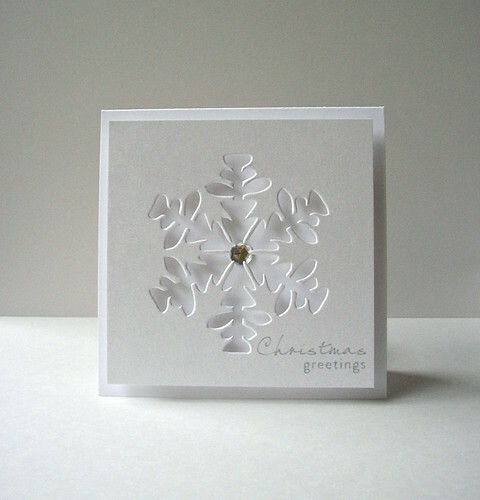 I'm leavin' ya now to go make some more Christmas cards; turns out I've not really made that many so far and have soooooo many more to make than I originally thought...how the heck did December crept around so quickly? Thank you so much for stopping by! Enjoy the rest of your weekend whatever you're doing! Anyways I digress. The reason you came here was to celebrate Friday-Eve, wasn't it?! 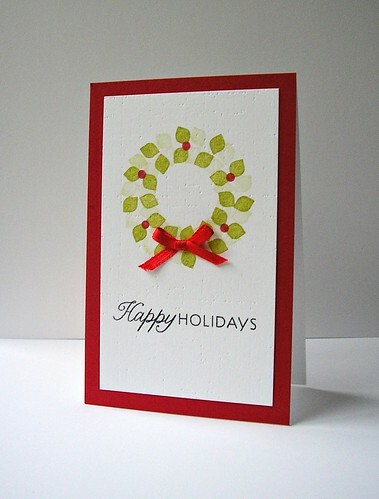 Check out the original post of this card, here! Why not play along with us and join in the fun? 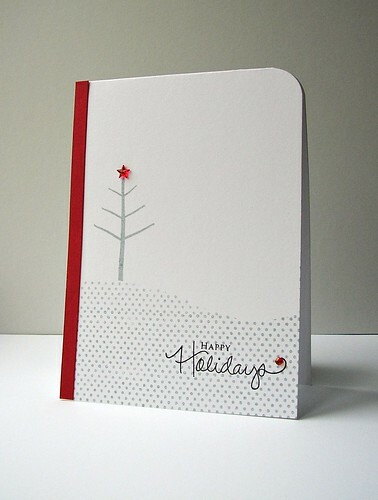 All you gotta do is be inspired by Amy's card and get creative! For the rest of us, we can still celebrate Friday-Eve in the traditional way, right?! Yup. You guessed it. Another fabulous CASE Study for us to be inspired by! Check out the original post of this CAS beauty, here! 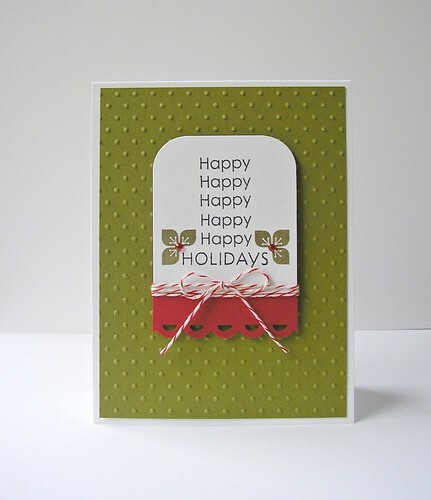 This card was whipped together in a matter of minutes thanks to my inspiration point. The longest amount of time was taken in deciding whether to round that top corner or not! So whether you're scoffin' on a Thanksgiving feast or not, we'd love to see you join in the fun with us! No matter what you're level, we love to share the inspiration! Speaking of inspiration, why not check out what the rest of the CASE Study DT created? 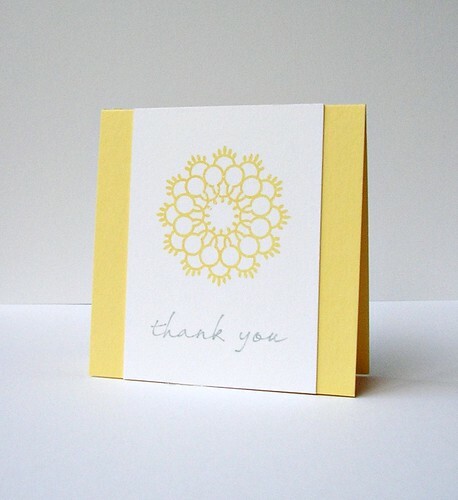 Thank you so, so much for stopping by my li'l corner of Blogland! Shall we celebrate in the usual style? Why not? After all, when you have the fabulous Kryssi Ng as your muse here at CASE Study, I can't think of a more perfect way to celebrate the end of the working week! 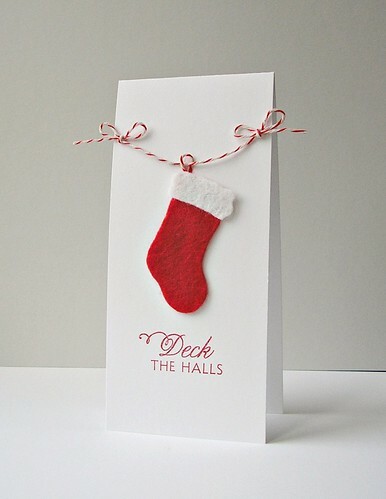 Check out the original post of this fun card, here. I wanted to turn this cityscape (or should that be silly-scape?!) into a winter, Christmas-themed card just like Kryssi did. 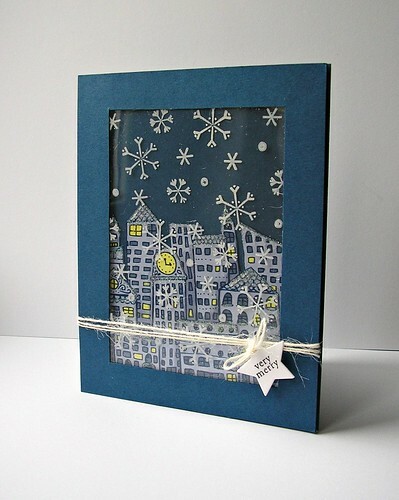 My snowflakes have been stamped on acetate with white Staz-On and placed over some glittered rooftops to give this cityscape a Christmas-like feel. Those sparkly rooftops add that touch of magic that I can't capture with my camera - you're just gonna have to trust me on this one *wink*! Right then, duty calls here: I've got two more days of work including Children in Need on Friday. Friday is going to be a surreal day at work with everyone in fancy dress and me paying the students double the price of a car wash to keep them away from my car - ha! All for charity of course and good fun too!